poster / print Please click on the image for detailes ! Printed on semimate-270grs/m² paper in 35.43" x 23.62" / 90 x 60 cm for $ 61.80 /€ 47.80, these prints are unique pieces of fine art ! 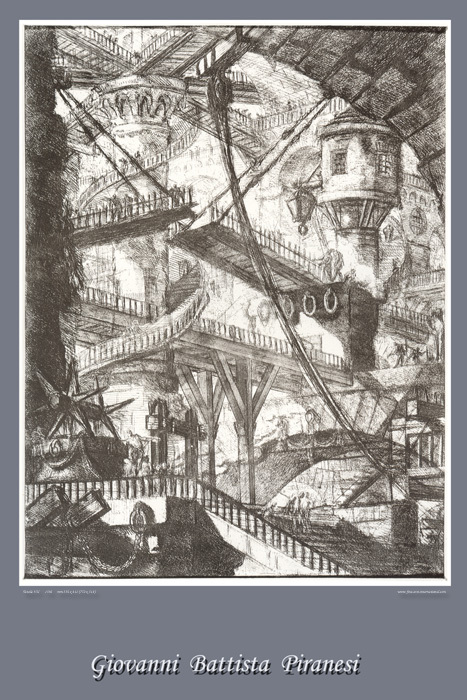 Availble for everyone, who likes Piranesi´s work. FREE SHIPPING ! TOP QUALITY ! 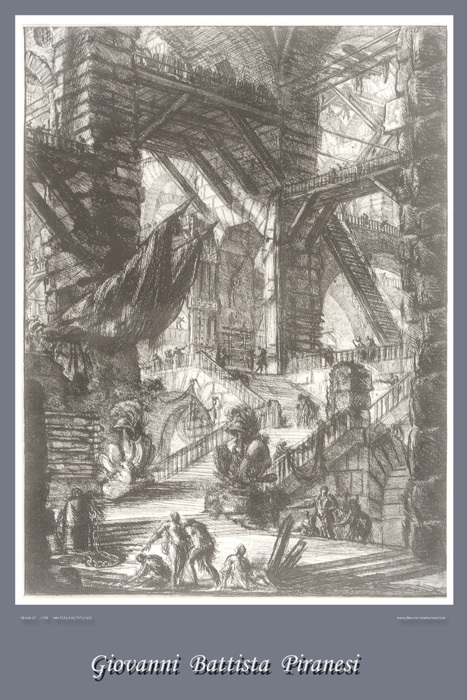 Piranesi, Giovanni Battista - Italian etcher, archaeologist and architect. He was born in Venice and was active in Rome from 1740. He was famous for his poetic views of Rome and also his fantastic imaginary interiors. Trained in Venice as an engineer and architect, his studies had included perspective and stage design. 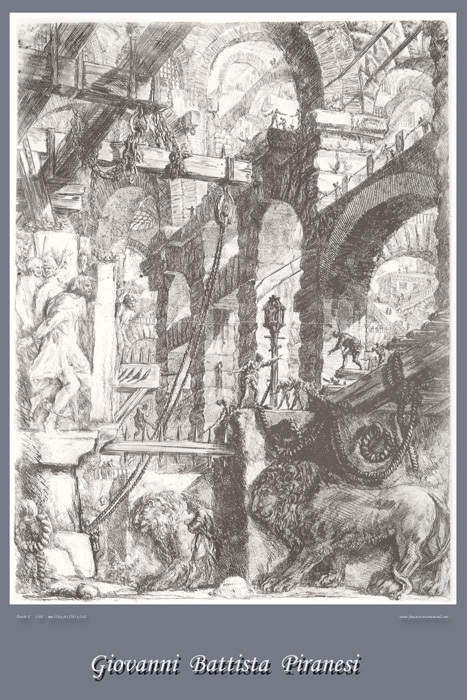 These skills, allied to his deep knowledge of archaeology, provided the substance for his Vedute (Views), a series of etchings of ancient and contemporary Rome, published from 1745 onwards, which established the popular mental image of the city. He created more than 2000 engravements of real and imaginary buildings, statues, and ornaments. 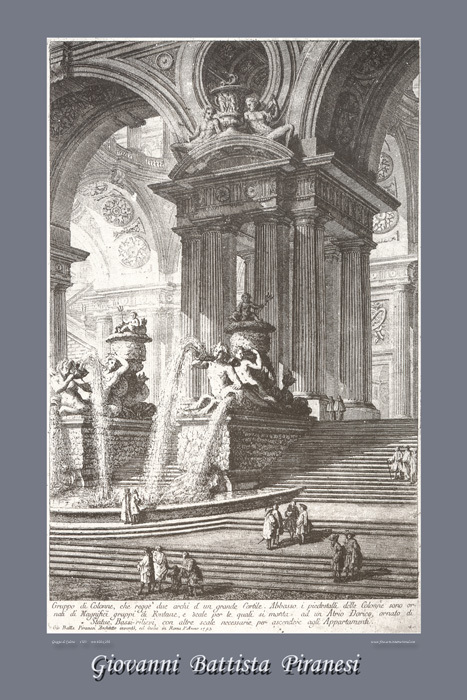 He contributed to 18th-century neoclassicism by his enthusiastic renderings of ancient Roman monuments, which included both accurate portrayals of existing ruins and imaginary reconstructions of ancient buildings in which alterations of scale and juxtaposition of elements enhance the sense of grandeur. 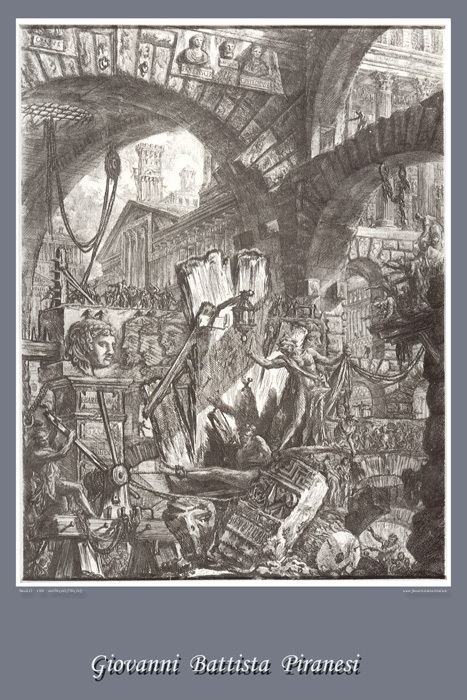 One of Piranesi's earliest and most lastingly renowned collections is his Carceri d'Invenzione (Imaginary Prisons, 1745; 2nd edition, 1760), in which he transformed Roman ruins into fantastic, immeasurable dungeons dominated by immense, gloomy arcades, staircases rising to incredible heights, and bizarre galleries leading nowhere. These engravings became an important influence on 19th-century romanticism and also played a role in the development of 20th-century surrealism.